Mechanical engineer, Riga Polytechnic Institute (1957-1963). Leningrad higher party school, politician (1978-1980). Shift foreman, electrical engineering plant in Riga (1954). Military service, Soviet Army (1954-1957). Engineer and technologist, head of technological office, electrical engineering plant in Riga (1957-1960). Minister for Local Industry of the Latvian Soviet Socialist Republic (1982-1984). Employee, Latvian Communist Youth Organisation; Secretary, Central Committee, Riga City Section of the Latvian Leninist Communist Youth Movement (1962-1968). Deputy head of department, Central Committee of the Latvian Communist Party (1969-1976). First Secretary, District Committee of the Latvian Communist Party, Leningrad District of the City of Riga (1976-1982). First Secretary, Central Committee of the Latvian Communist Party; member of the Politburo, Central Committee, Communist Party of the Soviet Union (1990-1991). Member, Central Committee of the Latvian Communist Party (1981-1991). Chair, Latvian Socialist Party (since 1999). Vice-chair, Saskaņas centrs alliance of political parties (since 2005). People's deputy in the City of Riga, Leningrad District of the City of Riga (1976-1984). People's deputy; chair, Riga City Council of People's Deputies (1984-1990). People's Deputy of the Latvian Soviet Socialist Republic (1980-1991). Member, Presidium of the Supreme Council of the Latvian Soviet Socialist Republic (1985-1991). People's Deputy of the Soviet Union (1990-1991). Member, Supreme Council of the Republic of Latvia (1991-1992). 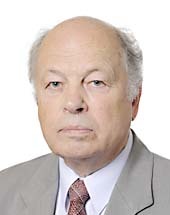 Member of the Latvian Parliament during its 5th parliamentary term (1993-1997). Chair, Committee for the Defence of the Constitution and Citizens' Rights and the Preservation of Society, Latvian Soviet Socialist Republic and Soviet Union (1990-1991). In detention (1991-1997). Sentenced to 8 years' imprisonment 'for activities directed towards the violent overthrow of State authority in the Republic of Latvia'. 1997: early release from prison. Three orders of the Soviet Union and two medals, two honours awarded by the Presidium of the Supreme Soviet of the Latvian Soviet Socialist Republic. Meritorious industrial worker's award of the Latvian Soviet Socialist Republic. (10) In order to ensure that the respect of cross compliance requirements can be verified, farmers are required to declare all agricultural areas of their holding, irrespective of the condition of the areas on 30 June 2003 (Article 124 of the Regulation). This also applies when the farmers do not apply for any area-based direct payment and only have small areas at their disposal. In those cases, for the sake of simplification, it should be made possible for the Member States not to require the declaration of those areas, provided the total area of the holding concerned does not exceed one hectare and provided that a reference to those areas is made in the aid application. (ba) provisions stipulating that a payment may be placed in the national reserve if a farmer refuses to accept it and if the land used for the farm is not in good economic condition. This money may be returned to young farmers who are starting to farm permanently. On the basis of the choice made by each Member State, the Commission shall, by means of implementing acts, determine a ceiling for each of the direct payments – including permanent meadowland and pasture – referred to in Articles 52, 53 and 54. 9. In order to enable the application of the single area payment scheme referred to in this Title, the Commission shall, by means of delegated acts, determine the agricultural areas under the single area payment scheme, as provided for in paragraph 1, and the minimum size of eligible area per holding for which payments may be requested at a level higher thanof 0,3 ha, as provided for in the third subparagraph of paragraph 2. (20) Article 15(3) of Directive 2003/96/EC allows Member States to apply to agricultural, horticultural and piscicultural works as well as to forestry not only the provisions generally applicable to business uses but also a level of taxation down to zero. A, in order to keep agriculture economically viable, as it is already hampered by strict social, environmental, plant protection and animal welfare requirements, and it is not adequately remunerated on the market. Despite this, an examination of that option has revealed that as far as general energy consumption taxation is concerned its maintenance would be contrary to the Union's wider policy objectives unless it is linked to a counterpart ensuring advances in the field of energy efficiency, which at the same time will in the medium term reduce permanent production costs in these sectors. Such advances in energy efficiency should form part of a sufficiently long cycle, extending over a number of years, and be subject to public planning and monitoring by public bodies. As regards CO2 related taxation the treatment of the sectors concerned should be aligned to the rules applying to industrial sectors. (25a) It should be laid down that Member States ought to develop forms of bioenergy on the basis of society’s economic needs and its interests. Member States should be encouraged to adopt a tax regime which promotes consumption of second-generation biofuels. The Commission should particularly prioritise research into second-generation biofuels in order to improve their efficiency and actual cost, as well as increasing research and development funding. The eligible expenditure of the operation to be co-financed shall not exceed the current value of the investment cost of the operation less the current value of the net revenue, determined according to one of these methods, excluding investments in sustainable and low-emission transport infrastructure, in the case of which the eligible expenditure must be equal to the current value of the investment cost of the operation. (21) Due to the successive integration of various sectors into the single payment scheme and the ensuing period of adjustment granted to farmers, it has become increasingly difficult to justify the presence of significant individual differences in the level of support per hectare resulting from use of historical references. Therefore direct income support should be more equitably distributed between Member States, by reducing the link to historical references and having regard to the overall context of the Union budget. To ensure a more equal distribution of direct support, while taking account of the differences that still exist in wage levels and input costs, the levels of direct support per hectare should be progressively adjusted. Member States with direct payments below the level of 90 % of the average should close one third of the gap between their current level and this level. This convergence should be financed proportionally by all Member States with direct payments above the Union average. In addition, all payment entitlements activated in 2019 in a Member State or in a region should have a uniform unit value following a convergence towards this value that should take place during the transition period in linear steps. However, isteps. In order to avoid disruptive financial consequences for farmers, Member States having used the single payment scheme, and in particular the historical model, should be allowed to partially take historical factors into account when calculating the value of payment entitlements in the first year of application of the new scheme. Member States may also limit the reduction in the basic payment to farms resulting from the discontinued use of the historical model. The debate on the next Multiannual Financial Framework for the period starting in 2021 should also focus on the objective of complete convergence through the equal distribution of direct support across the European Union during that period no later than in 2023. The volume of financing of direct payments by Member States (envelope) should be adjusted so that, in all Member States, the level of direct payments is not less than 80% of the Union average level of direct support as from 1 January 2014. 2. Paragraph 1 shall not apply to farmers who received less than EUR 5 000 ofin direct payments for the previous year than the amount determined by the Member States (within the range EUR 1 000-EUR 5 000). 1. Farmers shall ensure that at least 72.5 % of their eligible hectares as defined in Article 25(2), excluding areas under permanent grassland, is ecological focus area such as land left fallow, terraces, landscape features, buffer stri – for example fences or stone walls – buffer strips, nitrogen-fixing crops and afforested areas as referred to in article 25(2)(b)(ii), as well as crops which contribute to CO2 sequestration. Coupled support may be granted to the following sectors and productions: cereals, oilseeds, protein crops, grain legumes, flax, hemp, rice, nuts, starch potato, milk and milk products, seeds, sheepmeat and goatmeat, beef and veal, olive oil, silk worms, dried fodder, hops, sugar beet, cane and chicory, fruit and vegetables and short rotation coppiceall sectors of agriculture or to regions of a Member State where specific types of farming or specific agricultural sectors are facing certain difficulties and are particularly important for economic and/or social and/or environmental reasons. .
(b) up to 10% if they allocated, during at least one year in the period 2010-2013, more than 5 % of their amount available for granting the direct payments provided for in Titles III, IV and V of Regulation (EC) No 73/2009, with the exception of Section 6 of Chapter 1 of Title IV, for financing the measures laid down in Section 2 of Chapter 2 of Title III of Regulation (EC) No 73/2009, the support provided for in points (i) to (iv) of paragraph 1(a) and paragraphs 1(b) and (e) of Article 68 of that Regulation, or the measures under Chapter 1, with the exception of Section 6, of Title IV of that Regulation. (14) As appropriate to each sector concerned in the light of the practice and experience under previous CMOs, the system of intervention should be available during certain periods of the year and should be open during that period either on a permanent basis or should be opened in good time depending on market prices. (35) Support for setting up producer groups should be provided for all sectors in all Member States under rural development policy so the specific support (including investment) in the fruit and vegetables sector should be discontinued. Member States shallmay recognise, on request, associations of producer organisations in any of the sectors listed in Article 1(2) which are formed on the initiative of recognised producer organisations. 1a. Member States shall recognise, on request, inter-branch organisations in the following sectors (by way of derogation from Articles 106, 107 and 108): (i) the fruit and vegetables sector; (ii) the olive and table olive sector; (iii) the silk sector; (iv) the bee-keeping sector. Inter-branch organisations in the fruit and vegetables sector shall realise at least one of the objectives laid down in Article 106(1)(c)(i)-(iii). The EAFRD shall contribute to the Europe 2020 Strategy by promoting sustainable rural development throughout the Union in a complementary manner to the other instruments of the common agricultural policy (hereinafter “CAP”), to cohesion policy and to the common fisheries policy. It shall contribute to a more territorially and environmentally balanced, climate- friendly and resilient and innovative Union agricultural sector in accordance with the Member States’ national development objectives. (ba) preventing degradation of farmland and enhancing characteristics of soil geared to sustainable agricultural production. 2. "Agro-forestry systems" shall mean land use systems in which trees are grown in combination with extensive agriculture on the same land. The maximum number of trees to be planted per hectare shall be determined by the Member States taking account of local pedo-climatic conditions, forestry species and the need to ensure agricultural or forestry use of the land. 1. Following the Commission decision approving the programme, an initial prefinancing amount for the whole programming period shall be paid by the Commission. This initial pre-financing amount shall represent 47% of the EAFRD contribution to the programme concerned. It may be split into a maximum of three instalments depending on budget availability. The first instalment shall represent 2% of the EAFRD contribution to the programme concerned. If agreement is not reached, the Member State may request opening of a procedure aimed at reconciling each party's position within four months and arriving at a joint opinion. A report of the outcome of the procedure shall be given to the Commission, which shall examine it before deciding on any refusal of financing. When the Union budget is credited as referred in the first paragraph, the Member State may retain 120% of the corresponding amounts as flat rate recovery costs, except in cases of irregularity or negligence attributable to its administrative authorities or other official bodies. 1. Where it is found that a beneficiary does not comply with the eligibility criteria or the commitments relating to the conditions for granting the aid as provided for in the sectoral agricultural legislation the aid shall be withdrawn in full or in partand payments for the non-compliant part shall be reduced for the next two years. N. whereas crop rotation and the basic principle of crop production1 should be included in ‘greening’ measures as part of CAP reform with regard to its significant contribution to climate change mitigation and the potential for reducing the use of synthetic fertilisers and pesticides; 1 Translator’s note: this translation is uncertain: there is a grammatical problem in the original, of which we have unsuccessfully sought clarification. 1. Member States shall require manufacturers and importers of tobacco products to submit to their competent authorities a list of all ingredients, and quantities thereof, used in the manufacture of the tobacco products by brand name and type, as well as their emissions and yields, yields and a complete toxicological description. Manufacturers or importers shall also inform the competent authorities of the concerned Member States about all their tobacco products available on the market if the composition of a product is modified affecting the information provided under this Article. Information required under this Article shall be submitted prior to the placing ofn the market of a new or modified tobacco product. In relation to each additional substance, manufacturers or importers shall submit complete analysis findings, using the latest technologies, which show that they do not contain toxic, carcinogenic or addictive substances. The list must be supplemented with information on ingredients both during and without combustion, indicating all possible effects on the health of consumers, including addictiveness. 5. Member States shall prohibit the use of flavouringadditional substances in the components of tobacco products such as filters, papers, packages, capsules or any technical features allowing modification of flavour, taste or smoke intensity. Filters and capsules shall not contain tobacco. Member States shall, based on scientific evidence, prohibit the placing on the market of tobacco products with additives (including paraffin, wax, fat, sugar, starch and cocoa) in quantities that increase in an appreciable manner at the stage of consumption the toxic or addictive effect of a tobacco product. 2. Prohibited elements and features may include but are not limited to texts, symbols, names, trade marks, figurative or other signs, misleading colours, inserts or other additional material such as adhesive labels, stickers, onserts, scratch- offs and sleeves or relate to the shape of the tobacco product itself. Cigarettes with a diameter of less than 7.5 mm shall be deemed to be misleading. Article 18 a Nicotine-containing products and products which are used in the same way as for tobacco-smoking may only be placed on the market if they were authorised pursuant to Directive 2001/83/EC. 13a. Calls on the Commission to carry out an analysis of the transport of animals, performing economic calculations broken down by the type of exploitation of animals concerned, and paying particular attention to the influence of the transport of young animals on the EU meat market and the economy of the EU as a whole. 6b. Recognising the development of global standards for the transport of animals by the Association of British Travel Agents (ABTA), which will improve animal welfare standards in tourist resorts around the world, urges the Commission to introduce policies to protect the welfare of animals used in other sectors and avoid any adverse effects on animals, ensuring that their specific needs are met. The work programme shall be of a four- year duration, but it may be reviewed and appropriate corrections made to it annually. Politisko partiju apvienība "Saskaņas centrs"